Water damage is one of the biggest messes in your home you can ever have to deal with. Any measures you can take to prevent water damage in your home are well worth the investment as they can save you thousands of dollars, many hours of your time, and undue amounts of stress. 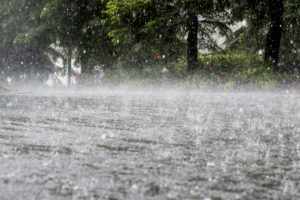 The majority of water damage disasters our team of restoration professionals at ERX in the Las Vegas area deals with are a result of overlooking simple water damage prevention methods. Below are five of those steps that you can take to prevent such a disaster from ever occurring to you and your home. Without proper drainage, your home is at much greater risk of flooding. When drainage is not directed properly, it often pools next to your foundation and can leak into your basement or crawlspace over time. Water detection devices may seem like an expense you don’t want to have to account for at first. However, they are worth the investment as they can save you thousands and thousands of dollars they help you prevent an actual flood. Water detection devices work by alerting you if they sense an excessive amount of moisture in your home. This will allow you to catch a flood in the earliest stages and prevent it from getting out of hand. You should take a few moments out of your day every few weeks to make sure that you don’t have any leaks ongoing in your home. Focus your efforts in the parts of your home most prone to leaks. That includes but isn’t limited to your sinks, showerheads, toilets, and outdoor faucets. Sometimes, the only way you know that water is leaking is taking a closer look at your water bill. If your usage jumps significantly from one month to the next without explanation, there is a good chance that you have a leak that has gone unnoticed. By noticing this in your water bill first, you can prevent the problem from ever becoming too serious and you can always have peace of mind that you will be able to notice any leak before it has gone on for too long. Grease down your sink is never a good thing. The grease won’t wash down your sink properly and can actually clog it causing water to back up and cause a flood. The short-term payoff of neglecting to do any of the prevention methods mentioned above is tiny at best. On the other hand, putting in the time in use these methods could save you a whole lot in the long run. Taking risks simply isn’t worth it. Nonetheless, we at ERX in Las Vegas know that mistakes happen and sometimes water damage is out of your control despite your best efforts. If that is the case for you, don’t hesitate to call and have your home restored ASAP!